The DALRC QOSD has been discontinued. 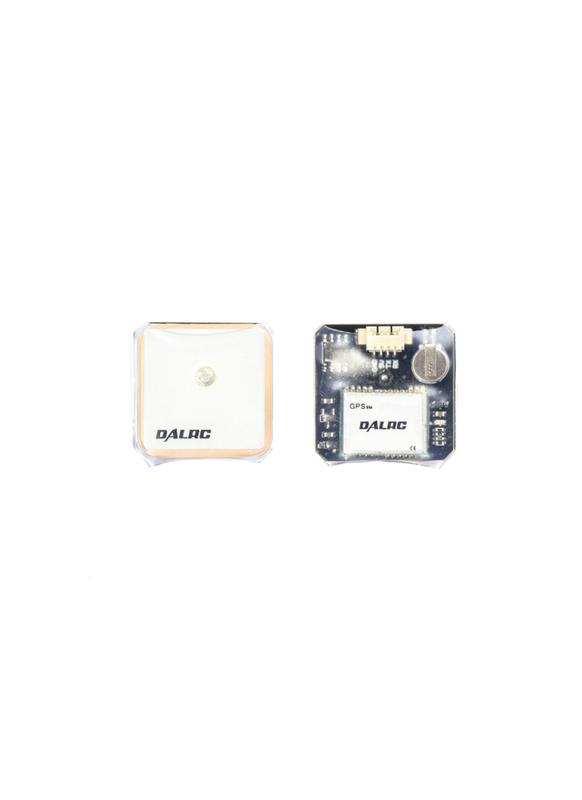 The DALRC QOSD is a small circuit board that provides telemetry data and overlays it on to your FPV screen/goggles. It has a built in compass, barometer, gyroscope, and accelerometer. It will provide in-flight data including battery voltage, attitude angle (pitch and roll), speed, home direction, distance travelled and even an artifical horizon. This is an excellent piece of kit and almost mandatory for FPV pilots who require real time in-flight data. It provides an artificial horizon overlay with a simple layout to display other relevant data to the FPV pilot. Those with DVR's on the ground will appreciate the live GPS co-ords displayed in case of a lost machine. To use the Home Arrow function set yaw direction to GPS (not compass). If you are getting a black screen (no picture) please check your voltage input. The DalOSD requires a 6-26V input. It's best to take the power from your flight battery not from a VTX as most only output 5 volts. In any case it's more useful to have the voltage readout on the OSD being your flight battery. Be aware that the output voltage to the camera is unregulated, i.e. it will match the input battery voltage.